Although there are numerous theories on the cause of autism, a number of studies have recently reported atypical changes at the level of the peripheral nervous system that point to a dysregulation of the Autonomic Nervous System (ANS) . The autonomic nervous system consists of the sympathetic nervous system (fight or flight) and the parasympathetic nervous system (rest and digest). When there is an imbalance this may lead to an inability to sit still and focus and/or a disruption in sleep patterns often seen in autism. Focus Formulations products provide a proprietary blend of neurotransmitter precursors that cross the blood brain barrier to provide therapeutic treatment where it is needed….in the brain. Other supplements are unable to cross the blood brain barrier and are essentially eliminated by the body. 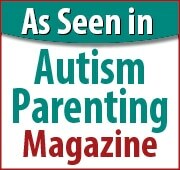 ANS function is closely linked to behavior, cognition, and emotion processing  and an imbalance in its function have been associated with differences in areas of the brain affected in Autism Spectrum Disorder (ASD)  such as social behavior , emotion regulation , attention , response inhibition , and adaptive functioning . Anxiety disorders are also commonly seen in children on the spectrum  and may exacerbate the core symptoms associated with ASD . ASD and anxiety are often found to occur together and present with similar symptoms such as repetitive and restrictive interests, lack of social and emotional reciprocity, avoidance behaviors, and speech difficulties [18, 19, 20]. Symptoms of ASD along with anxiety are often associated with over firing of the sympathetic nervous system and inhibition of the parasympathetic branches of the ANS. Cognition Focus and Calm Focus provide the nutrients that support healthy functioning of the ANS. By providing ingredients that produce powerful neurotransmitters the body can more effectively regulate circadian rhythm, support cognitive processes and calm the response to stress. Cognition Focus and Calm Focus provide the optimum balance of ingredients to promote neurotransmitter production to help balance and regulate the firing of the sympathetic and parasympathetic nervous systems and may significantly reduce symptoms associated with ASD. Nothing is better than a good night’s sleep but this is particularly critical in young children as sleep directly impacts mental and physical development. Poor or inadequate sleep can lead to mood swings, behavioral problems and cognitive problems that impact their ability to learn in school. Studies have illustrated that rates of disturbed sleep are particularly high among children with Autism Spectrum disorder (ASD). Persistent sleep disturbances are known to have a negative effect on a child’s learning and behavior, which is particularly serious for children with ASD who already have difficulties in these areas. Recently, researchers at the Arkansas Children’s Research Institute identified that approximately 90% of children diagnosed with autism have methylation impairments . Methylation impairment may alter the way the brain produces chemicals such as serotonin, dopamine, GABA, and glutamate which are critical to initiating a normal sleep pattern. Calm Focus supplies serotonin precursors, GABA and glutamate along with other natural ingredients that support healthy sleep onset and maintenance. Calm Focus may also be taken at a lower dose to combat daytime anxiety without the risk of over sedation or addiction.